In this sermon on Esther 5, we look at the task that Esther faced to rescue and deliver her people, the Jews, from certain death and annihilation. Remember also that the name Esther means “something hidden” and this is a good description of the book of Esther, because there is much that is hidden in the book. But the biggest piece of hidden information is God. He is not mentioned once in the book, but He is behind nearly every sentence. He is the man behind the curtain in the wizard of Oz. He is the secret agent working undercover. His presence is so huge in the book, that (and this is the genius of the story) the only way to include Him is to leave Him out. In Esther 4, Esther learned that the lives of all the Jews living in Persia were threatened by Haman the Agagite. 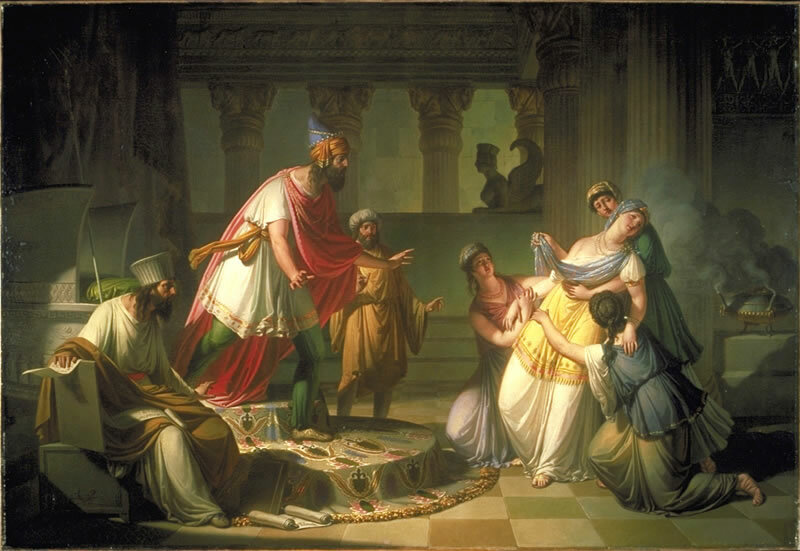 Her cousin, Mordecai, told her to go before the king to plead for their lives, but Esther was scared to do so because if she went before the king without being summoned, he might put her to death. Mordecai tells her two things. He says first that she is dead anyway. If she doesn’t go before the king, Haman will certainly put her to death. So her only chance is to go before the king. Secondly, Mordecai tells her that possibly, she was placed in her exact position for such a time as this, and that if she does not stand up for what is right, deliverance will rise from another place. Most people today are familiar with the recent Mission Impossible movies starring Tom Cruise based on the old television shows by the same name. The story line is nearly always the same: a special agent is assigned a mission of impossible difficulty. They are never forced to accept the mission, but are always given the option of declining it. The popular phrase is, “Your mission, should you decide to accept,” and the agent is told of the impossible mission. And of course, they always accept the mission. To speak to the king, Esther has to break the law for which the penalty was death. To make her appeal to the king, Esther has to confess that she has deceived the king by not telling him she was a Jew. Esther must attempt to convince the king to reverse an irreversible law, as laws were in the Persian Empire. Esther must oppose Haman, the most powerful person on earth at that moment in time besides the king. Esther must pursue a plan which will strike a serious blow to the king’s pride — not a smart thing to do to a proud and petty king. So Ether’s task is quite monumental. And she is very aware of the difficulty of her task. Which is why, again as we saw last time, that she and all the Jews she knew spent three days and nights fasting before she went before the king. She prepared with prayer and fasting, which is a very commendable trait. So let us now turn to Esther 5 to see how the mission turns out. Esther 5:1. Now it happened on the third day that Esther put on her royal robes and stood in the inner court of the king’s palace, across from the king’s house, while the king sat on his royal throne in the royal house, facing the entrance of the house. She goes on the third day. She has completed the prayer and fasting and wastes no time in going before the king. We see here that she puts on her royal robes. “Can you imagine the agony she undergoes beforehand, choosing just the right dress, shoes, perfume, and hairstyle for this occasion?”  She is very careful to not go before the king in sackcloth and ashes. This would have almost assured her death since those in mourning were not allowed into the king’s presence. Once she is dressed, she goes before the king. Probably as she is dressing, she is thinking, “This may be the last time I wear these robes. This may be the last time I walk these halls.” This is probably the scariest moment in Ether’s life. Sometimes walking from one room to another can be scarier than traversing the most rugged cliffs or crossing the hottest desert. I am sure her life went in slow motion. She does not know whether she will live or die. And at this point neither do we. But the story does not make us wait long for the answer. Esther 5:2. So it was, when the king saw Queen Esther standing in the court, that she found favor in his sight, and the king held out to Esther the golden scepter that was in his hand. Then Esther went near and touched the top of the scepter. We can breathe a sigh of relief here! She lives! The first part of the mission is accomplished. The king sees her standing in the court, and he is pleased with her. He is probably pleased with both her beauty and her boldness, and so he extends his golden scepter to spare her life. This is the pivot point in the story, now that the threat of death has evaporated. Esther was like Obi Wan Kenobi in Star Wars: He was the rebel’s only hope. “Esther was the Jews’ only hope. No other Jew had access to the king like she did. Now that Esther lived in going before the king, there was also hope for the deliverance of the Jews. Let’s see how this unfolds. The king realizes that Esther put herself in jeopardy by coming, and also realizes that since she put her life in danger, she must have some special request to make, and asks her what her request is. This offer sometimes got kings in trouble. You remember King Herod got into trouble with this offer when his daughter asked for the head of John the Baptist on a platter (Mark 6:23). So Esther went before the king to plead for the Jewish people, and the king says she can have anything she wants. We expect her to ask for the death of Haman. Did she chicken out? No. Esther, being wise and discerning, senses that this was not the best time and place to talk to the king about the Jewish plight. It would not have been wise to humiliate the king in his court by telling him he had unknowingly passed a law that jeopardized the life of his queen. So she asks the King and Haman to come to a banquet she has prepared for them. Now some people might think that she missed her opportunity here. He said she could have anything, he was pleased with her, why didn’t she just ask for the head of Haman? We only think this, because we forget the Mid-Eastern mind frame. And the king is no dummy here. He knows that this meal is not the real reason Esther risked her life to come before him. He knows that there is more to this than her getting bored and wanting to show off her culinary arts to her husband. She has some other, more important request to make. Esther 5:5. Then the king said, “Bring Haman quickly, that he may do as Esther has said.” So the king and Haman went to the banquet that Esther had prepared. The banquet was probably not exactly what we think of when we imagine a banquet. It was more like a reception. The food consisted primarily of dainty foods, like desserts and cheeses and fruit and all of it was taken with wine. So it really was a banquet of wine and dessert. And again, we can be sure that Esther agonized over what to serve and how much and when to serve which dishes — and maybe the decorations on the table and the music in the room — she wanted the setting to be just right when she presented to the king her request. Can you feel the tension? Everybody is holding their breath. She didn’t ask again! She is really dragging this out! Why won’t she just ask? Wouldn’t this make a great movie? The tension builds and builds and just when we think Esther is going to make her request, she invites the King and Haman to another banquet. Some of us might think she is just putting off the inevitable, and it would have been better for her just to get it over with. But again, we are going to see that God is working behind the scenes and he needed just 24 more hours to add an amazing twist to the plot of this story. Esther is right in line here with what God wants to do, as we will see in the rest of Esther 5 and on into Esther 6. Esther 5:9. So Haman went out that day joyful and with a glad heart; but when Haman saw Mordecai in the king’s gate, and that he did not stand or tremble before him, he was filled with indignation against Mordecai. Haman has just been honored above every other man in the kingdom with a private banquet with the King and Queen. He is feeling joyful and in high spirits. Probably he is somewhat drunk. As he leaves the King’s Palace though, there is Mordecai. Haman has just been to a banquet with the king and queen, and everyone is bowing to Haman, everyone but Mordecai. And just like that, Haman’s day is ruined. He was filled with rage and indignation against Mordecai. He probably wanted to kill Mordecai then and there. Esther 5:10. Nevertheless Haman restrained himself and went home, and he sent and called for his friends and his wife Zeresh. The most common way to heal an injured ego is to boast to others about yourself, so that is what Haman does. Haman is seething with anger, but he knows that Mordecai’s day will come. To further soothe himself, he calls together all his friends and his wife. This is probably not the only time Haman has done this. A person with Haman’s pride is only happy if he can boast to others about himself. Esther 5:11. Then Haman told them of his great riches, the multitude of his children, everything in which the king had promoted him, and how he had advanced him above the officials and servants of the king. To most of us, this would have been quite nauseating. Can you imagine being asked over to someone’s house just so they can boast to you about all that they have done and how rich they are? It is always difficult to be around someone who talks only of himself or herself. But they had to put up with him, or else you can be sure Haman would have had his friends killed. We see here also that Haman has ten sons, which we will read about later in chapter 9. Sons were a sign of wealth. So he boasts about his wealth, about his sons and the ways that the king honored him. Esther 5:12. Moreover Haman said, “Besides, Queen Esther invited no one but me to come in with the king to the banquet that she prepared; and tomorrow I am again invited by her, along with the king. In other words, “If one banquet was not enough, I get to go a second time as well.” This is twice as good! Haman continues in Esther 5:13. Well, Haman’s wife and all of his friends have a solution for him, as we see in Esther 5:14. And the thing pleased Haman; so he had the gallows made. The word here for gallows is ates which can also be translated pine, plank, staff, stick, timber, tree, and wood. And as we saw in Esther 2, the gallows was not like our western hang-man’s noose that we see in movies. It was more probably a spike of wood thrust vertically into the ground upon which a victim was impaled. This was the first type of crucifixion, invented by the Persians, perfected by the Romans and used ultimately on Christ Jesus our Savior. And this gallows, intended for Mordecai, was not any normal gallows. It was 50 cubits high, which is about 75 feet high. Haman didn’t do anything half way. It wasn’t enough for him just to want Mordecai dead. He wanted all the Israelite people dead. It wasn’t enough for him just to hang Mordecai on any old gallows, he wanted to hang Mordecai 75 feet in the air. And Haman will impale Mordecai on it before tomorrows banquet with Esther and the King! Isn’t this a wonderfully-told story? Esther delayed in making her request to the king. Now it appears that her delay will cost Mordecai his life! Esther may be saved and the Jews might get spared, but by the time Esther makes her request, Mordecai will already be dead. But God is in control, and though Haman builds the gallows, we will see that it is actually God who wanted the gallows built. What is that purpose? We don’t know yet. The text has not answered that question for us yet. However, in anticipation of how the story will unfold, we must not miss the lessons of this chapter. There is one from Haman and one from Esther. Haman was proud and arrogant, and although we have not yet seen how the story will turn out, we know from Proverbs 16:18 that “Pride goes before destruction and a haughty spirit before a fall.” We will definitely see this in Haman. But what about us? Do you look down on others? Those of you who are in a position of authority at work, do you treat those under you as inferiors, or do you give them the respect they deserve? Men, do you treat your wives as equal to yourself? You may be the head of the household, but this does not mean you can speak to your wife or treat her in such a way that makes her feel inferior or less honorable or less important than you are. Leaders in the church, servant in the church, teachers in the church, do you look with disdain on those who do not do what you do, or who do not know as much as you know? Be careful. Do not fall into the trap of Haman. Do not let your pride take control. Pride comes before destruction and a haughty spirit before a fall. The second lesson for us today is learned from Esther. Esther faced on impossible task. She is much like many of us. Life is full of difficult decisions. Undoubtedly, she would have loved to receive a prophetic vision from God on what to do and how to do it. But she had none. God did not speak to her or send someone to speak to her. God did not give her dreams or prophecies or visions. She was responsible for making a decision with serious consequences. She is just like us today. She couldn’t see the happy ending of the story from the frightening middle. Like Esther, we live in a completely pagan society. Like the Jews of Persia, we have no earthly king, no earthly prophet, and no earthly kingdom. Like them, we live in an age when we cannot depend on miracles and visions to guide us. Like Esther, we face difficult ethical and religious questions in a highly political world that tends to be hostile to our most fundamental Christian convictions. We struggle to respond wisely and faithfully to difficult circumstances that come our way and over which we sometimes have little or no control. In such a world, in the midst of such circumstances, what are we to do? We can do what Esther has done. Be faithful to the Word of God. Live in obedience to him. 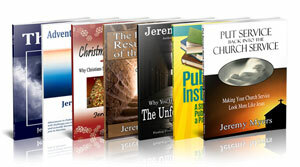 Get instruction from friends and family who are wise and mature in the Christian faith. And most importantly of all, pray. Pray long. Pray hard. Then, and only then, make a decision and go with it, trusting that God will work out all of the details as only He can. When we do these things, like Esther, the Mission Impossible in our eyes becomes Mission Possible when placed in the hands of God.